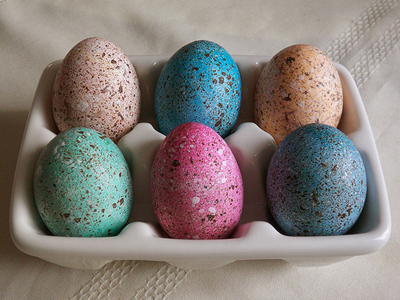 I was so excited to hear that my speckled eggs on Craftster made it into boston.com's 8 Easter crafts for family fun. How awesome is that? How fun! Did they ask permission first? I was surprised to not see your name by it, just crafster.org. I ended up looking at your craftster again and still crack up at Oscar and the purple paw prints. Too cute! I saw the speckled Easter eggs craft idea on boston.com too and had no idea it was from your blog.